What Are the Benefits of Lemon Juice for the Face? Can Using Lemons on Your Face Make Your Skin Brighter? Lemons are a nutritionally multitasking fruit that can be used to brighten the skin. Lemons have many everyday uses. They can add low-calorie flavor to your dinner, add a tart twist to your iced tea and even perk up your complexion. Lemons are full of vitamins, antioxidants and acids that can reverse sun damage, even out skin tone and leave your face looking brighter and younger. This sour citrus fruit also has antibacterial properties, making it a powerful tool against acne breakouts. 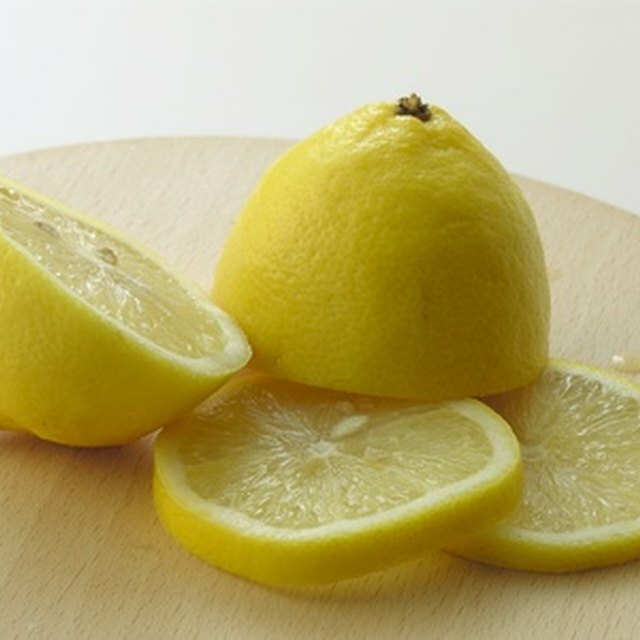 Adding lemon to a homemade skin care regimen can make skin brighter, clearer and younger. Lemons contain large amounts of alpha-hydroxy acids, specifically citric acid. When the acid in lemon comes in contact with the skin, it gently bleaches areas of darker pigmentation while exfoliating away the top few layers of skin. In this way, lemons work very similarly to a low-level professional chemical peel. 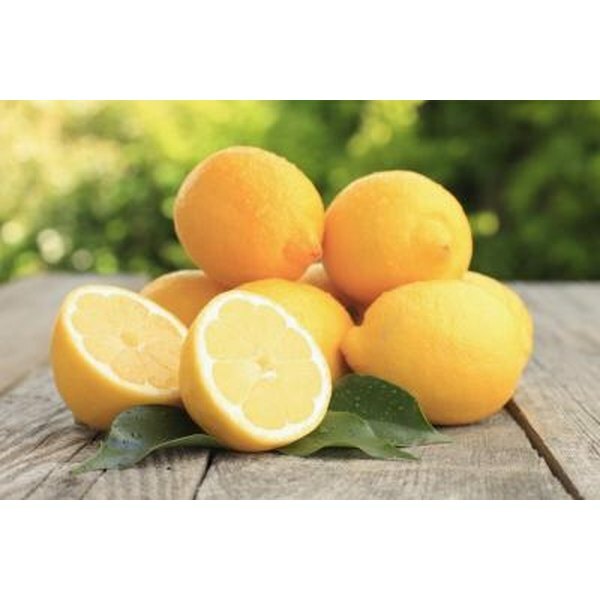 The high levels of vitamin C found in lemons act as a powerful antioxidant. Vitamin C can reverse the damage caused by free radicals in the skin, which can improve the overall tone and texture of skin. This kind of exfoliation and bleaching is ideal for reversing the effects of dark freckles, sun spots and areas of uneven skin tone. Applying fresh lemon juice to the skin with a cotton ball twice a day can significantly improve your skin’s texture and tone. The juice works as an astringent toner that can penetrate deep into pores, cleaning away dirt and dead skin cell buildup. A fresh, sliced lemon can also be rubbed on dry areas of the body – like elbows, knees and feet – to exfoliate and soften skin. If you have sensitive skin, dilute the acidity by mixing equal parts water and lemon juice. Lemon juice increases skin’s photosensitivity, so refrain from applying the juice immediately before spending time outside. If irritation or redness occurs, rinse your skin with cool water and discontinue use. Try a small amount of lemon juice on the inside of your forearm 24 hours before applying the juice to your face. If you have a reaction to the juice, do not use it on your sensitive facial skin. To brighten and tone skin, mixing the probiotics of plain yogurt with the acidity of lemon juice creates a powerful antiaging mask. Combine 2 tbsp. lemon juice with 1/4 cup plain yogurt and stir until the ingredients are creamy. Apply the mask to dry skin and let it dry for 15 minutes. Rinse with lukewarm water and pat dry with a cotton towel.